How Do I Publish My Website? How Do I Create a Backup Copy of My Website? How Do I Change My Website's Browser Icon (Favicon)? How Do I Hide a Published Website from Visitors? 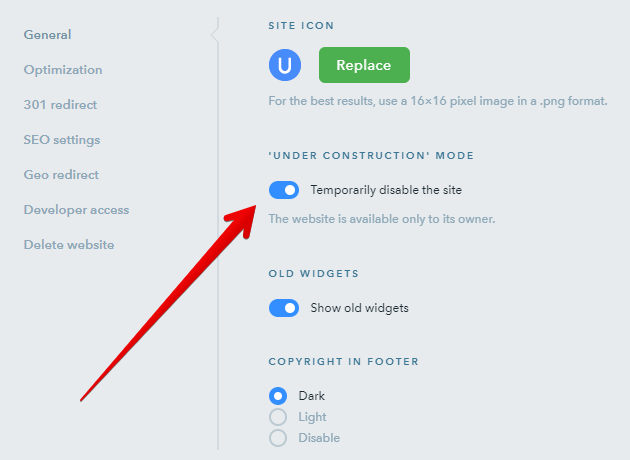 To make the website visible again, disable 'Under Construction' mode and publish the website. 43 people found this article helpful.